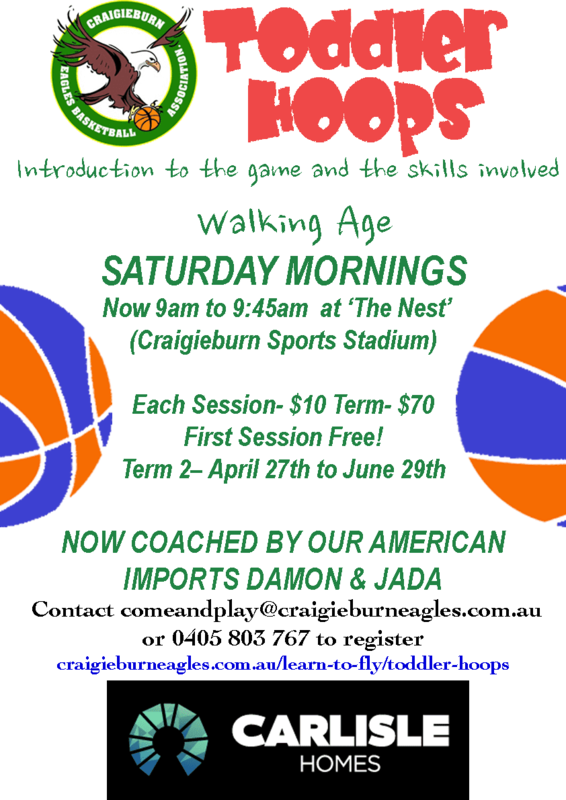 Toddler Hoops acts as an introduction to basketball skills for youngsters to build hand eye co-ordination. Programs for Term 1 begin on Saturday Feb the 2nd running through until March the 30th (finishes one week earlier due to Saturday domestic finals). Sessions are at 10-10:45am. It is designed to enhances self confidence and creates the sense of belonging to the Eagles family. Cost is $10 per session $70 for the full term. Ideal ages are 3 to 5.